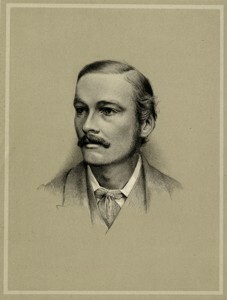 Balfour was Professor of Animal Morphology at the University of Cambridge at the time of his death. Books were given by his family to form the nucleus of the Zoological Department Library. The collection comprised over 500 books plus 77 bound pamphlets. These were originally housed on the site of the Austin Wing of the Cavendish Laboratory until the Department moved in 1933. Up until 1906 the Library was mainly funded by student fees. The Balfour Library Endowment Fund was established in 1906 when an appeal for subscriptions was issued with the aim of placing the Library in a more secure position and easing the pressure on departmental finances. The collection of technical works, journals and papers was immediately accessible to and heavily used by students, teaching staff and other researchers, forming both a tangible memorial to him and an essential part of the resources of the Department.